What are some of the specific daily activities you expect to find evidence for? David Bush joined Heidelberg College's Center for Historic and Military Archaeology in 1998 to focus exclusively on the Johnson's Island Prisoner of War Depot. He is also chairman of the Friends and Descendents of Johnson's Island, a nonprofit organization dedicated to the preservation of this National Historic Landmark site. David Bush: We are always interested in the choices that the prisoners dealt with from day to day. For instance, in order to survive, they needed to maintain contact with their family. They did this through writing letters, and often in their letters they would note that when they would come home, they would bring them a present from Johnson’s Island. These presents probably consisted of the trinkets, rings, necklaces, and other things that they were making from hard rubber, shell, and various metals. We find evidence of these activities daily in our investigations. Today, for instance, we discovered several pieces of shell that had evidently been used in their craft activity, as well as a piece of hard rubber from a chart rule. And of great interest was part of a small hammer that they had broken and lost. We have not found many of these in our investigations. Is there a list of the prisoners held at Johnson Island? David Bush: I have been developing a full list of prisoners at Johnson’s Island for the past several years. There is a roster of both the guard and the prisoners. We have been working on a listing of all the prisoners that were there, combining many different lists and historical documents. If you have a particular prisoner that you are interested in, you can send me the name, and I can let you know if we have any data on him. How can people participate in your dig? David Bush: There are a number of ways that people can participate in the excavations at Johnson’s Island. We have adult volunteers’ help with the Experiential Learning Program, and there is a five-week summer field school. There are teacher workshops and adult digs, when adults can sign up for one- to five-day experiences. Volunteering at the Heidelberg Labs can take place during the fall months. Just contact me by email to set up a time. If you are a teacher, contact Heidelberg College about the teacher workshops, which can be taken for 3 hour credits per week. If you wish to sign up to volunteer to dig at Johnson’s Island, all you need to do is contact me via email at dbush@heidelberg.edu and let me know when you would like to come out. We are accepting volunteers the week of July 17-22, 2006. However, if you cannot make it those days, we will take a limited number of volunteers from June 7-July 7 (M-F only). What made you decide to concentrate so much of your time on this project? David Bush: You are kind to note that I have been working years at Johnson’s Island. I couldn’t even begin to relate all the reasons why this site is worth the time, effort, and even frustration from time to time. I have made contacts and friends with people all over the United States sharing Johnson’s Island with them. I have been able to provide families with just a little more information about their ancestors, which they truly appreciate. I have been able to excite grade school students to the wonders of the discovery of history. And, I have had the opportunity to read from those that were there, hear their voices, and then discover their handiwork. Johnson’s Island is a site that connects people from all over. Every day is a day of discovery. In this answer, I am not sure that I have even touched upon the archaeological wonders that the site has. It is truly unmatched. Thanks for asking. Is the site open to the public? David Bush: At this time, the only public land on Johnson’s Island is the Confederate Cemetery. It is available during daylight hours, but there is no public information building on the island. If you want to visit the archaeological site, you can contact me and I can arrange with you a time that we will be there and can show you the site. Did you survey for the presence of Native American artifacts? David Bush: Back in 1989 through the early 1990s, I directed several surveys on the island documenting the various cultural resources on the island. This included several concentrations of prehistoric Native American sites, the prison site, and subsequent occupation for the quarry. The island had a fairly large prehistoric occupation, but the evidence suggests that where the quarry was excavated may have been where the most concentrated village occupation existed. We find evidence of Native American use of the island in our studies, and completely document all evidence recovered. Most of the prehistoric Native American evidence is from the Late Archaic to late prehistoric. Have you found anything medical? David Bush: We excavated at Block 6 within the prison compound, which was designated the Hospital. We excavated one of the wings of the hospital, which may have been the “dead house” as well as exploring several of the latrines. 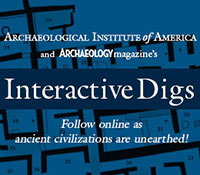 I published some of the results of these excavations in Historic Archaeology (2000) as well as giving several papers. We discovered some very specific medical implements in the excavations. There is much more to do in the hospital area, which I would definitely like to get back to. The prisoners did receive some medical attention, but it was certainly not the best that could have been provided. It depended upon the time a prisoner was there. Many of the prisoners served as nurses, and the surgeons that were captured often helped in the hospital. We did discover that the prisoners’ medical treatment suffered as the war went on. What kind of conditions did the prisoners live in? David Bush: The prisoners lived in Blocks (12) within the prison compound in rooms, with bunks, and limited furniture (which they made), and an additional Block was used for the hospital. The buildings were wood, built at ground level. They had cook stoves that were vented with brick chimneys. Articles that they lost would sometimes go through the floorboards and thus we find them during our excavations. They made lots of various types of jewelry, bought materials from the Sutler as well as having materials shipped to them. They enjoyed many privileges due to their being officers. The prisoners spent time in their blocks as well as outside in the prison compound. They were allowed to roam freely within the Prison Compound during the daylight hours, but could not go within 30 feet of the fence. A “dead line” was staked out and if they crossed that line, they would be shot. Between 1862 and July 12 of 1864, the dead line along the western wall of the prison was 10 feet, due to the limited space that they had. When the prison was expanded in 1864, the dead line was positioned to 30 feet. The treatment of the prisoners varied throughout the war. It was fairly good in the early going, but got worse in the latter part of 1864 due to retaliation to reports from other prisons. The prisoners were given the same rations as the guard for most of the war, but they were cut in 1864 as well. They did have blankets, although they complained of the cold in the winters. When the temperature gets below freezing on the lake it is cold to everyone. However, the prisoners especially were not used to the cold. David Bush: The prison was run by the 128th Ohio Volunteer Infantry. From time to time, there were other units on the island to help protect it against possible escape attempts. What is the portable building covering your excavation site? David Bush: The structure that we excavate under is heavy canvas made by Hanson, 30 by 50 feet and quite durable. It’s a lifesaver when it comes to working in the field for extended periods of time. We couldn’t run our program for schools without this type of protection. If you are interested in how sites get covered, you should see the one that the Jamestown Rediscovery uses. Now that is protective structure! For more interviews with David Bush, see www.archaeology.org/johnsonsisland/.